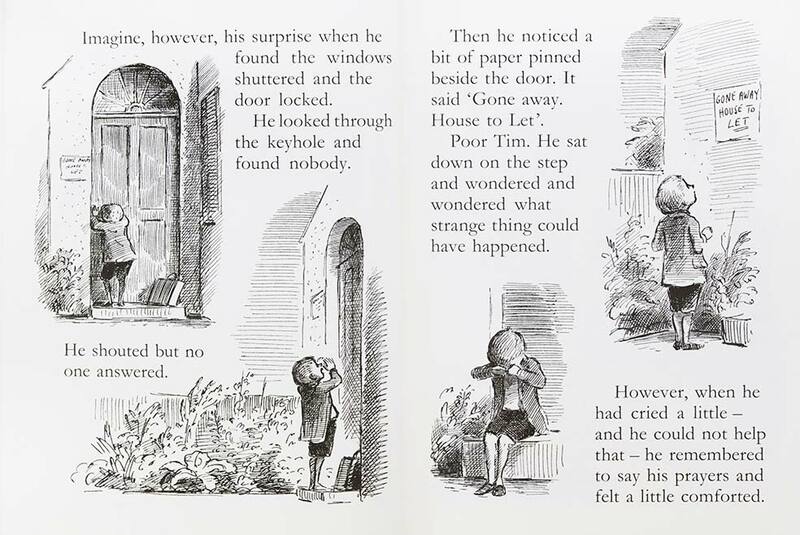 Arriving home after a holiday voyage at sea, little Tim finds an extraordinary thing has happened. His parents are no longer living in their house, in fact no one is there at all. Most young readers will find this story quite gripping. 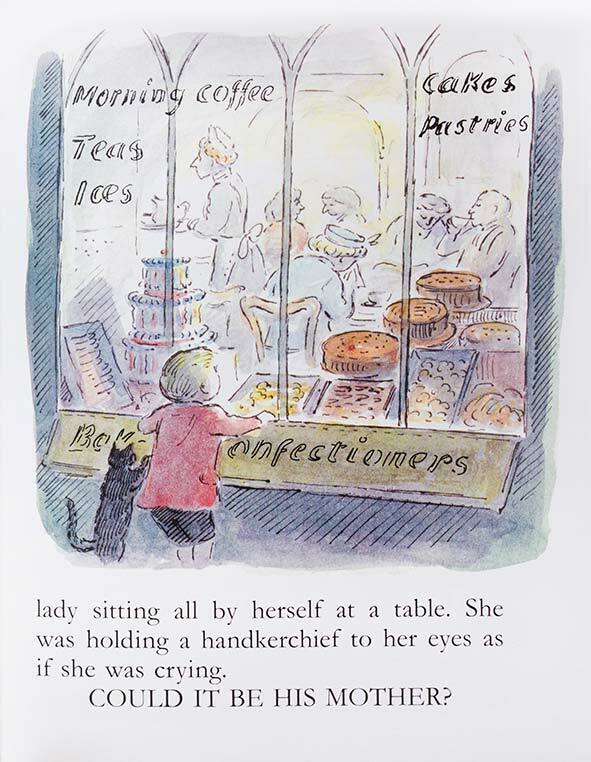 It won a prestigious Kate Greenaway Medal when it was published in the 1950’s and can still effortlessly tickle the imagination of any tablet toting child. Rather than seeming old fashioned these stories are full of curious language and themes which will intrigue. Black and white etchings embellish the scenes with fascinating detail which children will enjoy discovering. After a few tears, Tim heads off to the port. he begins searching the coastal towns in hope of finding his parents. 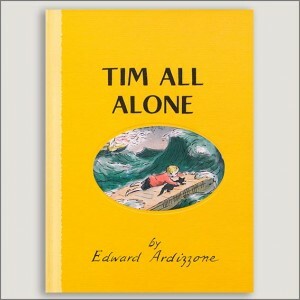 After an incident in a seaside town, Tim is delayed and misses the sailing of his ship. In desperation he stows away on another ship who’s captain and crew turn out to be a rough and unfriendly lot. Poor Tim is worked so hard he falls ill and must be taken ashore. A kindly local woman takes him in and nurses him back to health. Like any great adventure story, we are never left to stagnate in hardship. The emotions are fast moving and convincing. 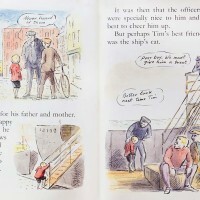 After a fond farewell, luck smiles again and Tim reconnects with the Amelia Jane, ready for happier times. Ah, but all is not smooth sailing. Tim raises the alarm. A fire has broken out and the ship must be abandoned! 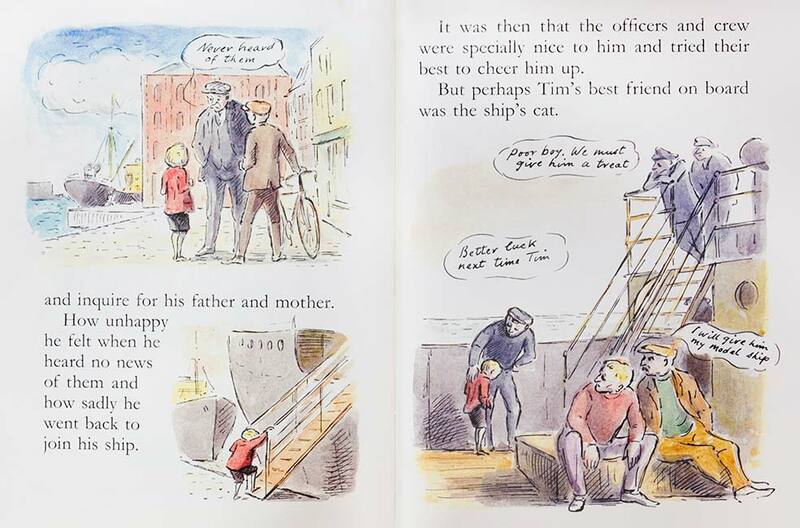 Realising that the ship’s cat is locked in a cabin, Tim recklessly leaves the safety of the departing life raft to rescue her. Cut off by flames, with cat in arms, Tim leaps into the ocean. Adrift on the debris, they finally wash ashore. As with the other stories in this classic series, difficulties are overcome by using the positive values of honesty, courage, kindness, politeness and doing what has to be done. Old fashioned perhaps, but fairly solid stuff. 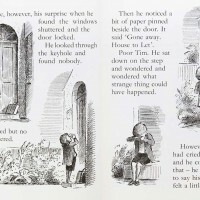 In case you are wondering, Tim does find his parents who have a very valid reason for thinking he was not coming home. All loose ends are ties up nicely, with a few surprises and good answers to satisfy any enquiring child. 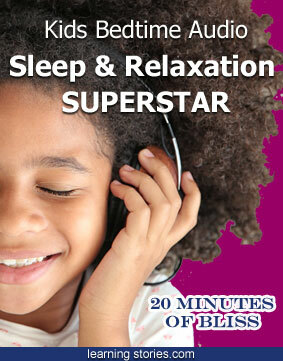 LISTEN TO THIS STORY – Free bonus! 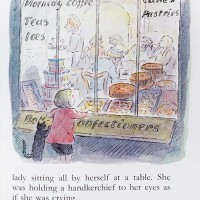 Edward Ardizzone’s stories are skilfully read by English comedian, actor, writer, presenter and activist, Stephen Fry. You can use the QR code at the back of the book to live-stream the audio for several of these books on your phone or tablet!